6:30 pm Mushroom Identification Session. If you’ve found mushrooms that are in good condition, wrap them in waxed paper, aluminum foil, or put them in a paper bag and bring them (with a spore print, if possible). Bring your field guide to reference the mushrooms that are on display. 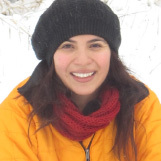 Carolina Piña Páez started her adventures in mycology in 2005 in the Sonoran Desert, working with gasteroid fungi. 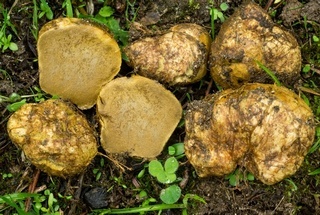 She has been working with truffles and other ectomycorrhizal fungi in the central part of México. In 2013 she moved to Oregon and was amazed with the diversity in the Pacific Northwest. Carolina is one of the Society’s 2017 Scholarship Winners. She is a Ph.D candidate studying in the lab of Dr. Joseph Spatafora at OSU, and her research focuses on the systematics and evolutionary biology of Rhizopogon in the sky islands of the Southwestern US and Northern Mexico. Specifically, Carolina is studying how Rhizopogon has migrated with its hosts and how isolation and environment is shaping its evolutionary trajectory. There is a parking charge 9:30 a.m. to 8:00 p.m., everyday, including holidays. ($2.00/Hour, $8.00/All Day). The parking lot fills up on warm sunny weekends, and on weekends with Zoo events. On those days we recommend public transportation. For more information on parking, see http://explorewashingtonpark.org/parking.